Portland, OR -- The U.S. District Court for the District of Oregon today invalidated the federal government's 2014 Columbia Basin salmon biological opinion (salmon plan or BiOp). Judge Michael Simon ruled that this latest plan -- like each of its four predecessors -- violates the federal Endangered Species Act and additionally the National Environmental Policy Act. It ordered a new biological opinion and full NEPA analysis that complies with the law no later than March 1, 2018. "Hundreds of thousands of adult salmon died last summer because of warm water in the Columbia and Snake reservoirs," said Todd True of Earthjustice, one of the attorneys representing the fishing and conservation plaintiffs. "The Court's sharp rejection of yet another illegal federal plan for operating the dams on these rivers amplifies the clear warning that management of these dams must change dramatically -- and very quickly -- if wild salmon are to inhabit these rivers in the future. It's time to finally get this right." "We need to seriously consider a plan that retires and removes the four lower Snake River dams. Only action on this scale has the potential to allow wild salmon to survive and recover in light of the vivid threat they face from a warming climate." 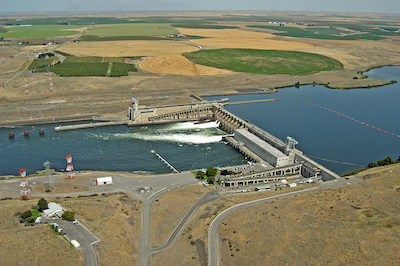 Amy Kober, Communications Director for American Rivers, said the ruling makes plain the need for a new look at salmon recovery strategies on the Snake and Columbia. "Northwest residents and national taxpayers should welcome an honest review of what it will take to restore Columbia and Snake river salmon and steelhead to abundance while enhancing the region's energy supply and agricultural economy," Kober said. "That means thinking big about how to accomplish these goals -- not clinging to a status quo that's not working for Columbia and Snake River salmon and all the different communities that rely on these rivers." Plaintiffs and others believe such a review would conclude that a free-flowing lower Snake River and healthy salmon populations will deliver far greater economic benefits to local communities and the region than do the increasingly costly dams. Commercial traffic on the lower Snake waterway has steadily declined for 20 years, while taxpayers are paying more and more to subsidize the dams' maintenance and operation. "This ruling is a big win for the people of the Northwest and the nation, and for salmon, for rivers and our Northwest fishing economy and culture," said Save Our wild Salmon's executive director Joseph Bogaard. "The message from the Court is clear: Federal agencies must take stronger, more effective action to protect our iconic salmon from a hydrosystem made more lethal by our warming climate. A major overhaul is needed and all options must be on the table." "This ruling should initiate a long-needed regionwide discussion of how to save wild salmon, cut Northwest family and business utility bills and build a truly clean energy future," said NW Energy Coalition policy director Wendy Gerlitz. "All stakeholders need to look at up-to-date scientific and economic data and together forge a new plan for changing dam operations to protect salmon and making up for reduced hydropower with clean, reliable and affordable energy and energy efficiency." "The harmful effects of our warming climate are worsened by the dams and their slackwater reservoirs," said Rhett Lawrence, the Sierra Club's conservation director in Oregon. "For decades, federal agencies have held back Northwest communities, wasted public money and delayed progress toward a true clean energy economy … all to protect harmful status quo dam operations that keep salmon at risk. This must change." With today's ruling, federal courts have found illegal five successive Columbia Basin salmon plans dating back to 2003. The latest plan, issued in January 2014, repeated the mistakes of the past -- ignoring valid legal and scientific concerns, and even calling for reductions in spill, our most effective short-term action -- short of dam removal -- for avoiding wild salmon declines. "Now is the time for our political leaders to work with Northwest people to put into action a lawful, science-based plan that protects and restores endangered salmon and steelhead, and meets the economic, cultural, and environmental needs of our region," said Glen Spain of the Pacific Coast Federation of Fishermen's Associations. "We all want a future with abundant salmon, affordable clean energy and healthy farms and communities. I hope this ruling leads all of us to look for a way to take the action needed to make this a reality."